It is amusing to see Pakistanis like yourself to seek satisfaction out of per capita comparison with India on all issues on earth .... ! Good luck for the coming years .... ! >> Pakistan is well on its way to becoming an urban middle class society. You should wish that they pay some taxes so that Pakistan can stand on its own feet. >> There is an unstoppable mass media revolution sweeping the nation. Yes indeed. Geo, Jang and ARY are all blocked for reporting news articles against the president. >> Political activism by the middle class has been on the rise in Pakistan. And so is the frustration against the government. Thank you Mr Musharraf !! Sam: "You should wish that they pay some taxes so that Pakistan can stand on its own feet." Only the middle class carries the disproportionate burden of taxes in Pakistan, while the rich evade taxes both legally and illegally. The farm income of the big feudal lords accounting fr 20% of the economy is exempt from any income taxes. Sam: "Yes indeed. Geo, Jang and ARY are all blocked for reporting news articles against the president."" As far as I know the media guys are no pushovers...they are fighting and winning these battles. Sam: "And so is the frustration against the government." Frustration catalyzes change...and hopefully positive change. Dear Riaz, you are a patriotic pakistani but pariotism should not make one blind to your country's problems. 3.WEAK industrial base resulting in cotton textiles ,rice and other agricultural commodities being , 90 % of your exports. 4.Losses of Public sector enterprises taking away precious resources.5.Unemployment and Inflation. 6. Power shortages And the new very expensive Rental power projects based on oil. ALL these facts are available in the public domain. I have seen frustration catalyzing positive changes in many countries like ex Communist countries and in Indonesia. In 2020 where would Pk. be? c. Partly under Taliban, partly lawless under a puppet government. A letter to a Pakistani daily. It goes:"China has donated $1.5 million while India, our ‘enemy’ (unlike China which is our ‘best friend’) has offered more than three times that amount. Our nation should understand that while China is a good friend they have done nothing for Pakistan except flood our markets with subsidised goods and in the process ruined our domestic industry, especially companies that make ceramics, toys, shoes and garments. While the US may be “evil” they are the biggest buyers of Pakistani exports and have donated a hefty amount – in fact they have given the most so far. China in fact has a massive trade surplus with Pakistan." anon: "Your economy is in much worse shape than what you report"
If you choose to look at half-empty part of the glass, Pakistan has a lot of problems, as do many other countries including US, Europe and India. Take debt for example...Pakistan's debt to gdp ratio is lower than 53 other countries of the world on a list 129 nations. Japan ranks #2, UK ranks #22, India ranks 34 in debt-to-gdp ratio while Pakistan ranks 54. Interesting that china is yet to make a presence. very good 'friend' they are. and US is topping in aid. very good 'enemy' they are. That India has offered Pakistan $5 million in aid, because of the recent monsoon flooding, is more of a ploy than anything else, and thus should be rejected out of hand. Coming from a Congress-led government’s Foreign Minister, the offer raises once again the spectre of India establishing its hegemony over the region, and also panders to international sentiment by showing it that India can handle the problems of the region. Coming as it did during a telephone call by the Indian Foreign Minister, SM Krishna, to his Pakistani counterpart, Shah Mahmood Qureshi, while offering his congratulations on Pakistan Day, it was meant to show that the creation of Pakistan was a mistake. The hesitation shown by our Foreign Minister, in replying to this offer, itself shows how the present government is desperately seeking US approval by seeking Indian approval. Pakistan’s government is trying to fit in with the American plans for the region, which sees India as the regional policeman, and the American bulwark against China. Therefore, Pakistan wants to resume the composite dialogue talks, even if they are devoid of content. Even though they may still be desired by the USA, India keeps on trying to avoid them. No talks with India will have any purpose if they do not tackle the Kashmir issue, the core issue between the two nuclear-armed neighbours; and no talks will have any result unless India changes its attitude, from the present stubborn obduracy, to one that is willing to facilitate a just solution to the region’s problems, which have been created in the first place because of India’s boorish behaviour and hegemonistic methods. This suits the international community, led by the USA, which wants Pakistan to accept India’s regional hegemony. That is why the USA is leading the international community in ignoring the current freedom struggle in Held Kashmir. Accepting the Indian money would indicate that Pakistan is not worried about Kashmir, and is focused entirely on its own problems. DC: "Interesting that china is yet to make a presence. very good 'friend' they are." Our Chinese friends are mourning the deaths of over 1200 people in floods and dealing with a large number of victims of floods and landslides in China. They deserve our sympathies. so, does that mean china can't spare few millions from their trillion reserves for "all weather friends" pakistan. incidentally check out how much USA shelled out to Haiti during the recent earthquake and how much the next superpower China. When it comes to giving USA is far ahead of others. Zen: "I have seen frustration catalyzing positive changes in many countries like ex Communist countries and in Indonesia. In 2020 where would Pk. be?" Apparently you have either not read or not understood my post. 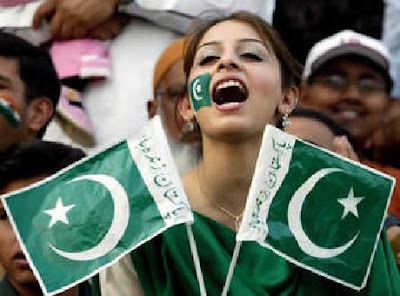 Pakistan has change dramatically and continues to change in many positive ways....it's much more urbanized and middle class country than its neighbors, it has a thriving civil society, vibrant media and a professional-entrepreneurial class that has it poised to become a strong middle income country. Notwithstanding its problems, average Pakistani will still be much better off than an average Indian a decade from now. Compared to Pakistan's problems, your native India faces much more formidable problems. Pakistan lost about 3000 people to tragic violence in terror attacks in 365 days in 2009. Over 7000 Indians die of hunger every single day of every year. This would be a major emergency in any civilized country of the world except in India where it's completely ignored. Instead of addressing its continuing food emergency, India is spending over $30 billion a year on building its war machine to threaten its neighbors. And its war spending is increasing by double digit percentages each year...including 34% increase in 2009. Some analysts argue the actual Indian spending is much higher because it excludes major items like nuclear force and the cost of military occupation in Kashmir. India is one of the poorest, most inequitable, most backward, third world countries. India is home to the world's largest population of poor, hungry and illiterate people, a place where people in normal times live in such primitive conditions that two-thirds of them have to defecate in the open. In terms of deprivation of basic necessities like food, clothing, shelter, education, health care and sanitation, Indians are far more deprived than Pakistanis, and Indians are far more deprived than even the poorest of the poor Africans in sub-Saharan Africa, according to a recent Oxford report on multi-dimensional poverty. I've not seen a more optimistic man than you. But, its a very different version of optimism. Its a classic "I'll concentrate on all the bad things about my neighbour and all the good thing about myself" kind of Optimism. India is growing at 9% and in 5 years will be the fastest growing in the world. So, optimism regarding is justified. Pakistan on the other hand is having a tough time to surpass its population growth which means its stagnant. Yet, you concentrate on how poor India is. Lets wait and watch and check how the two countries stand after 10 years. Also, the brotherly(as opposed to sisterly countries. How much more patriarchal can you get! ),oil rich Saudi Arabia gave $ 55 million. I've haven seen so much love between 2 'brotherly' countries ever before. anoop: "India is growing at 9% and in 5 years will be the fastest growing in the world. So, optimism regarding is justified." Optimism for who? the top 5%? What about the rest? The history tell us that there is no trickle down in India. Economic growth is no guarantee of improvement in social indicators. In spite of rapid economic growth in recent years, India now has 100 million more people living below the poverty line than in 2004, according to Indian government estimates. Gujarat has been growing economically for many years, and yet Gujarat has a serious hunger problem, according to India state hunger index (ISHI) report. I dont want to start with you again. I am tired. If you say 9% growth, which will pretty soon turn into double digits does not bring millions out of poverty every year then you have no idea about economics are willfully ignoring the fundamental aspects. And, mind you India is growing fast in the last 10-15 years only. Your comment,"The history tell us that there is no trickle down in India. ", ignores this little point. The above report says,"While there have been some successes in reducing the number of people living in such areas in recent years by about a tenth (mostly in China and India), numerous problems persist." This World Bank report says in the last ten years India has got 1/10th of its people out of poverty. That is the point I want to emphasize. Real growth started 15 years ago and things are rapidly changing. My own life has changed so much since then! My city has improved, better roads, better electricity, better jobs are getting created, more people are migrating from the poorer belts of India,etc. Infact, for some of the jobs there aren't many people to hire! So, Riaz, there is trickle down effect in India. India is not that different than any other country for which rules of economics have to be changed. When Pakistan even notches up half the % points that India grows you can atleast save your face. How much did Pakistan grow last year? Lousy 3% compared to the majestic 8 point something for India. It is interesting whenever Pakistan goes through a bad phase in International media or otherwise you concentrate your energies on 'exposing' India. Like I expected you have come up with another of your articles that concentrate on India's negatives. Its a case of Head In The Sand Syndrome! anoop: "India is not that different than any other country for which rules of economics have to be changed." All of the data about India shows that it is very different in terms of its social structure and forces. It's one of the few countries where Apartheid still exists in the form of widespread caste and religious discrimination. It has a huge gender gap, it leads the world in child marriages, and has the world's largest underclass consisting of Dalits, Muslims and women. It will take serious and powerful affirmative action to translate economic growth into benefits for its massive underclass. "All of the data about India shows that it is very different in terms of its social structure and forces. It's one of the few countries where Apartheid still exists in the form of widespread caste and religious discrimination. It has a huge gender gap, it leads the world in child marriages, and has the world's largest underclass consisting of Dalits, Muslims and women." 1/10th population out of poverty in last 10 to 15 years(World Bank report I've provided in my last comment). So, India is an extraordinary country which grows inspite of all the challenges. anoop: "1/10th population out of poverty in last 10 to 15 years(World Bank report I've provided in my last comment). So, India is an extraordinary country which grows inspite of all the challenges." There is plenty of data, including Indian government's own data, that contradicts this. Yes it does. There are reports that Pakistan is going down the drain, is already a failed state, etc daily in all kinds of media including Pakistan's own media. India brings tonnes of people out of poverty, it could be 1/10th or 1/20 or 1/5th. The good thing is there is hope. World bank believes its 1/10th so the actual figure must be close, considering experts,neutral experts, work for WB. The Aug 23 & 30 issue of Newsweek has a cover story titled "The Best Country in he World is...". It ranks top 100 nations of he world based on education, health, quality of life, economy and politics. As expected, the top nations are the industrialized OECD member nations, followed by the nations of Eastern Europe, Middle East, Latin America, North Africa and South East Asia. Bottom of the list includes South Asian and sub-Saharan African nations. The top nation in South Asia is Sri Lanka at #66. Afghanistan and Nepal are not included in the list. Pakistan is ahead of India in education and quality of life, as judged by Newsweek. Obviously, Newsweek rankers have a bias for democracy, no mater how flawed, that puts India significantly ahead of Pakistan in political environment and helps its overall ranking. And the fact that Pakistan has been hugely demonized by the western media has also hurt its standing. But the killers for Pakistan rankings are its corrupt and incompetent politicians and the economic ruin they have wrought over the last two years. As expected Religious nutcases in Pakistan have even blamed this natural phenomena on India. It would have been a extremely funny read had it not killed many hundreds of people and that particular line of thinking could falsely accuse a fellow neighbour of sabotage.